Creating a magazine story involves a lot of moving parts. 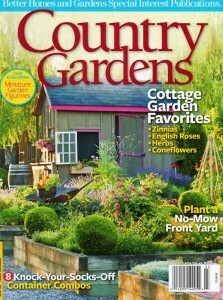 Last year, I worked with a huge team of talented people to produce a feature story for Country Gardens magazine called “Art by Hand,” which appears in the current Summer 2012 issue. 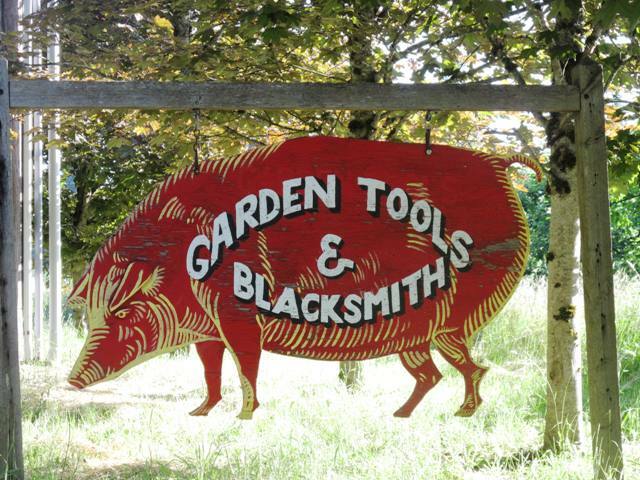 Editor James Baggett had the original vision for this story — and he asked me to produce and write a group of short profiles that together tell the story of craftspeople and artists whose work is inspired by the garden, wildlife and nature. 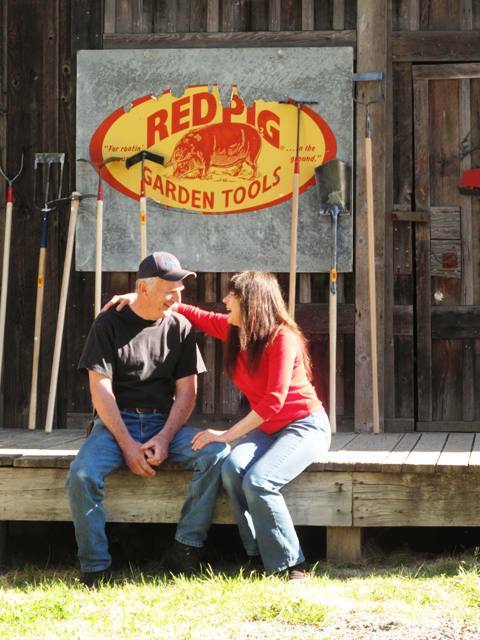 Our starting point was Dirt Couture, the online garden emporium started in 2010 by Cindy McNatt. Many of you know Cindy for her daily updates called Dirt du Jour, which is a fun, g0-to site for all the latest gossip about plants, books, people and trends in the gardening world. Cindy suggested several of the artists whose work is featured on Dirt Couture, and since photographer Laurie Black and I are now both located in the Pacific Northwest, we decided to focus on three folks in Oregon and Washington. 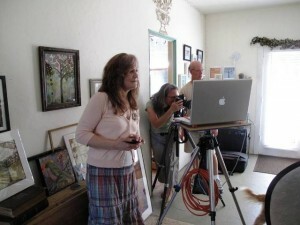 We photographed their portraits and work last July. Last September we headed to Southern California for a visit to Cindy’s gorgeous garden and the world headquarters of Dirt Couture (aka, her kitchen table!). 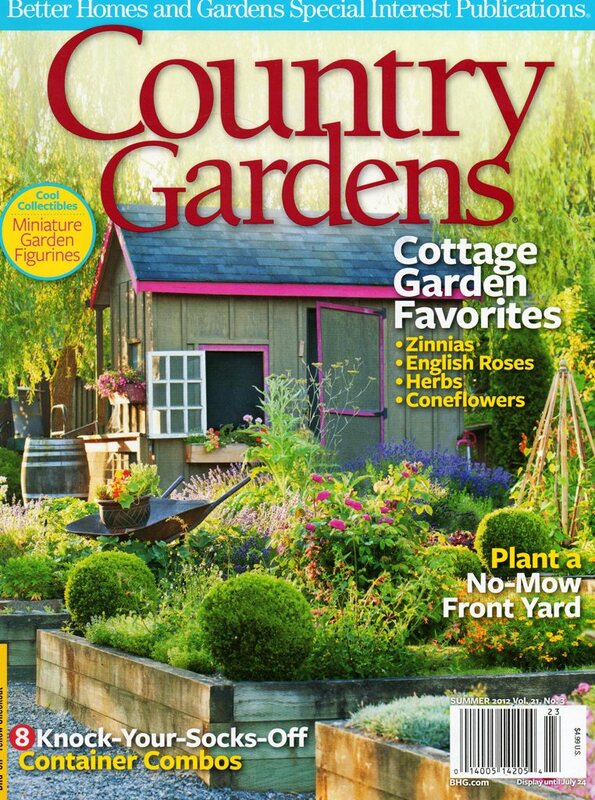 Pulling together all these separate pieces and making them into an 8-page feature for Country Gardens was way more work than just visiting a beautiful garden and spending 24 hours photographing it. But I love teaming up with Laurie and her husband Mark King, and things always seem to have a good flow when we’re on location together. So you can read the story here — or, better yet, pick up a copy at the newsstand. Laurie’s photos are amazing (and PS, she also photographed the cover of the same Summer issue to illustrate my feature about The Herbfarm Restaurant’s Basil Banquet. That’s another fun story!). You can see the actual forge-marks on these hand hoes. Rustic beauty! Artist Blenda Tyvoll uses mixed media to cover her canvases with soulful trees, inspired by the Oregon farm where she and her family grow Christmas trees! Check out more of her work here. 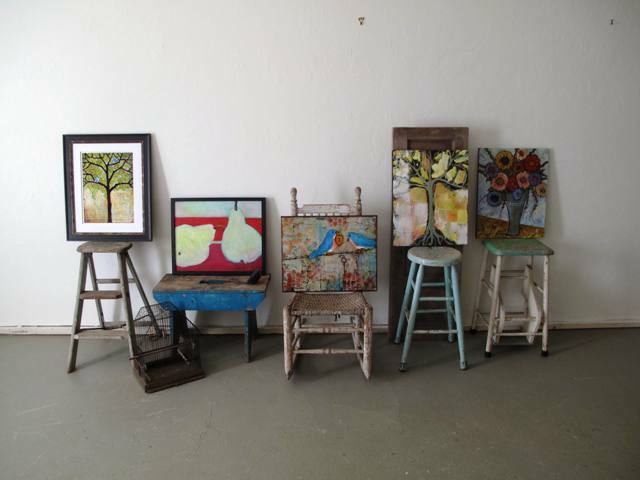 I love this little gallery I styled with Blenda's canvases and her collection of paint-chipped stools. from left, Blenda studies her collection of tree-inspired paintings as Laurie Black and Mark King capture the shot. Potter and artist Marybeth Sommers of the Seattle area has adapted the traditional Raku method to create bird houses and bird feeders. They are charming! We photographed Marybeth and her work at the Dunn Garden in Seattle. Thanks to the folks there for making that happen! Marybeth’s studio is called Ring of Fire Pottery. Here's what happens when the showers arrive in the middle of a photo shoot! That's Mark King, holding a rigged up photographer's stand with an umbrella clipped onto it. 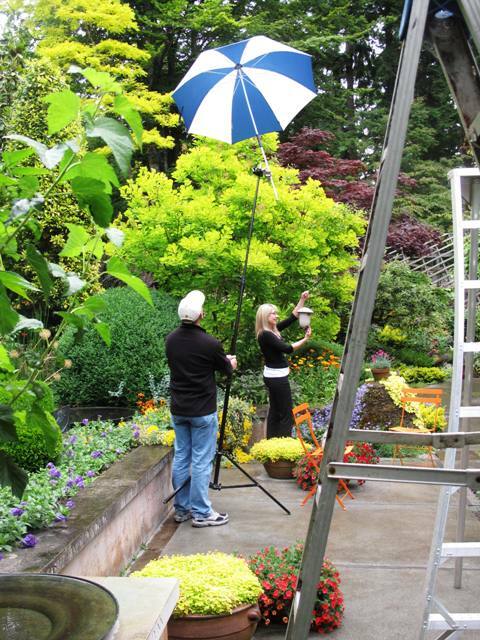 Just to keep our subject Marybeth dry while Laurie take her portrait. 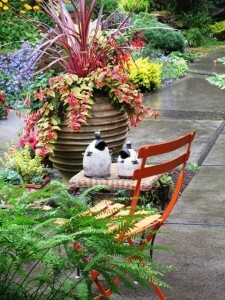 A sweet vignette of Marybeth's bird feeders in the colorful Dunn Gardens. Finally, we spent a day with Cindy McNatt, creator of Dirt Couture. Visit the site here and learn more about all of these artists, plus nearly 100 more artisans and crafters. You won’t be disappointed! 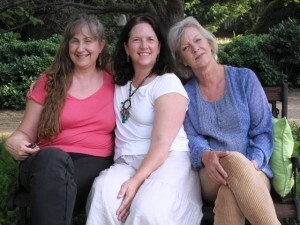 Garden Writer friend Julie Bawden Davis (left) visited Cindy McNatt (right) and me (center) during our photo session. It was fun to reunite with my SoCal girlfriends! 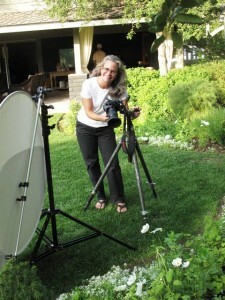 Laurie King, a dream of a photographer to work with! 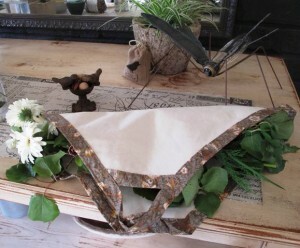 Dirt Couture's canvas harvest trug - perfect for gathering flowers and herbs. 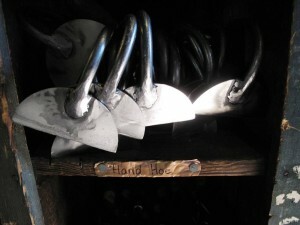 This entry was posted on Monday, June 11th, 2012 at 11:20 am	and is filed under Creativity, Gardening, General, Playfulness, Writing. You can follow any responses to this entry through the RSS 2.0 feed. You can leave a response, or trackback from your own site. THE BEST THING ABOUT THIS IS THAT WE NOW KNOW THAT BOB DENMEN IS WELL AND DOING JUST FINE. WE ALL MISS HIM AND HIS WONDERFUL STORE IN ORANGE. HE WAS MY GO TO GUY FOR SHARPENING EVERYTHING GARDEN. DON’T LET THIS GO TO YOUR HEAD. REMEMBER WERE ALL JUST A BUNCH OF GALS THAT HAVE DIRTY FINGERNAILS AND SORE KNEES. Monet wrote about creating his garden for pleasure then it became more. The rest is history. All this flower stuff literally increases crop yields, sometimes double. Agriculture & ornamental horticulture are connected in real life, just not the universities or the laws of USA. I love the photos. Laurie is indeed an amazing photographer. I haven’t been able to get the magazine yet but I am sure it must be amazing. All pictures are very beautiful. Thanks for sharing this information with us.